It’s time to meet another member of the Experience Guide Staff at the Children’s Museum of New Hampshire! Sarah is at CMNH the majority of the week and can usually be found hip deep in arts and crafts supplies in the Muse Studio. You may have even heard Sarah’s voice while you were shopping for a pair of jeans. Yes, you read that right! Sarah has a lot to say so let’s jump right in and find out more! Zach: Sarah, how long have you worked at the Children’s Museum of New Hampshire? Sarah: I’ve been at the museum since October – so about 11 months! S: I’ve always loved working with kids and when I saw that CMNH was hiring I thought it would be a great opportunity to do different activities and exploration with families each day. I loved that each day would be a new and different experience! The other part of that daily surprise is the fact that I get to teach each day. Interactive teaching with the visitors is the highlight of my job. Z: What originally brought you to New Hampshire? S: I came to Dover because I was accepted in to the Masters of Fine Arts program at UNH in Durham. My focus is Creative Writing – specifically Poetry. Z: Where did you complete your undergrad studies? S: I attended Columbia University in New York City. My focus in undergrad was Creative Writing but I also spent much of my time at Columbia attending and participating in musical performances. I’ve been studying voice since I was six-years old so I definitely enjoyed working with classical music and opera at Columbia. Z: Wow! You may likely be our only Experience Guide with an opera background! Tell me, what – if any – experience did you have working with families before your time here at CMNH? 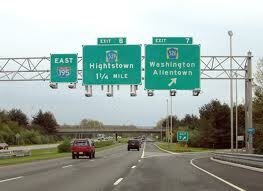 S: For many, many years, I taught at a musical theater summer camp in my hometown of Allentown, New Jersey. Z: That sounds like a lot of fun! S: Yes! “Musical Theater Magical Camp” was a very enjoyable place to work! Z: Wow! With a name like that it sounds even more fun! S: It really was a lot of fun. Each session ran for 3 weeks and was open to children from 5-12 years old. We would spend Week One getting to know each other, learning about theater, playing games and becoming comfortable with being on stage. 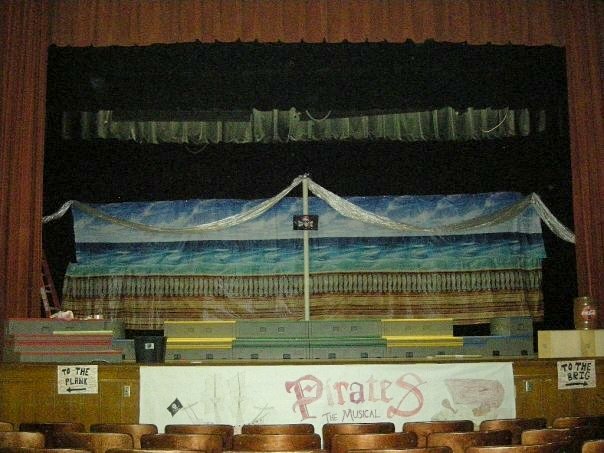 We would cast a full musical in Week Two and then teach them choreography, design and make the costumes, and create the set. Then, after rehearsing throughout Week Three, we would put on a performance on the last day for the entire camp and all of the returning families. Z: Did any of the children ever experience stage fright? S: Oh, yes! We would often get parents who would sign their children up for our camp in an attempt to kind of bring them out of their shell. These are the children that would be quite shy at the start of camp; often they would be the younger campers. Which made it such a wonderful process that at the end of three weeks we’d be able to see these kids that had entered the process unsure of themselves and their abilities come out on stage and blow us away with their confidence! Z: I’m currently working on a production myself this summer outside of CMNH and I’m having some trouble with a few of the actors hitting their spots and remembering their lines. Can I recruit you to come and fill them full of your trademark confidence?? S: Well, I’m pretty busy at the museum this summer but we’ll see what I can do! Z: Sarah, switching gears a bit, I’d like to know if you or your family visited museums when you were growing up? S: We did. We went to a ton of museums as a family. My father is a software developer and he has worked on a number of projects and exhibits for museums. He and his brothers did most of hardware and software for the Sony Wonder Museum in New York when it first opened. Z: “New York” meaning New York City? S: Yes! Right on Madison Avenue! I was able to explore the museum before they officially opened to the public while my father worked on different projects and exhibits. Z: How old were you? S: About 6 or 7. S: [Laughs.] You should be! My dad has worked with a number of museums since then and I actually got to do some voice-over work on one of his projects. Z: I’m somehow even more jealous now. What was the voice work? S: It was an exhibit for the Children’s Museum of Houston that was also getting installed at the Liberty Science Center in New Jersey. It was a Magic School Bus weather-based exhibit. I provided the voices for two of the children in the Magic School Bus. 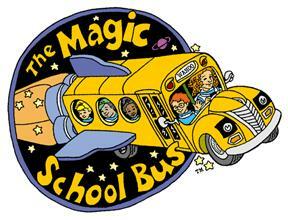 All Aboard the Magic School Bus! 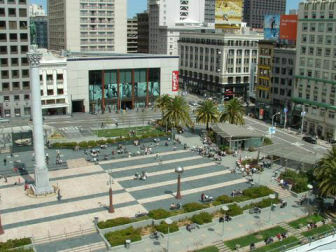 S: He also worked for the Levi’s flagship store in Union Square in San Francisco – so for a long time, I was the voice of many of their in-store kiosks. Z: Did you actually get to travel to San Francisco? Sarah’s voice will help you buy your next pair of jeans! S: I did! The whole family spent the summer in San Francisco. Z: And how old were you then? S: I was 12 years old and it was wonderful to be there for the whole summer. We really got to know the city. Z: I have to ask – did you visit any museums? S: We did. We went to the San Francisco Museum of Modern Art. It . . . well . . .
S: It was actually . . . an interesting experience. Z: I’m going to need you to tell me more than that! S: Yes. Well. They had a number of installations that were very advanced and were . . . well, perhaps a little over my 12-year old head. Z: I see. Well, Sarah, please tell us: What is your favorite museum in the world? Z: I always knew you were a V.I.P.! 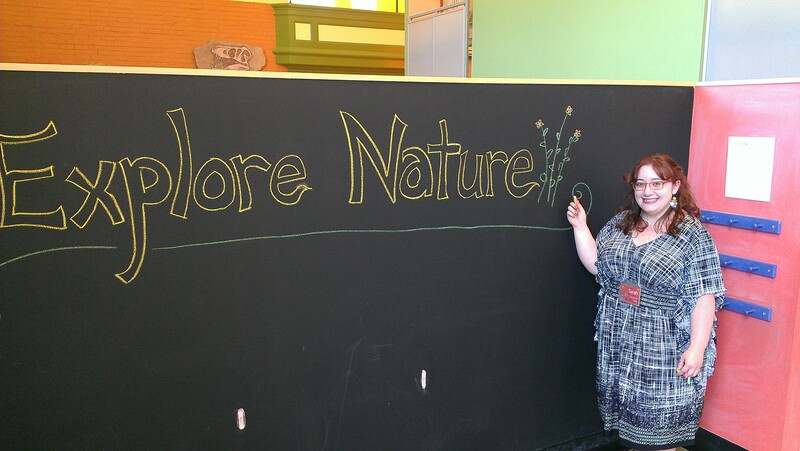 Sarah, what is your favorite exhibit at CMNH and why? S: My favorite exhibit is probably the Muse Studio. I love the way we’ve been able to mix artistic creativity with scientific exploration. You’ll see families and staff drawing, painting and collaging conjoined with learning how a prism works and how a lima bean plant grows. It’s definitely the part of the museum that, as a child, you would have had difficulty getting me to leave. Z: Even as an adult we have a hard time getting you out of the Muse Studio!